People keep telling me that it’s fall. Or at least that summer is over. I refuse to believe it. I’m just not ready. As far as I’m concerned it’s at least summer through the very last second of August. At least. But even I must admit that summer is coming to a close. It may soon be time to switch gears and get into fall mode. But we still do have a few days left of August and it’s worth taking advantage of each one of them. 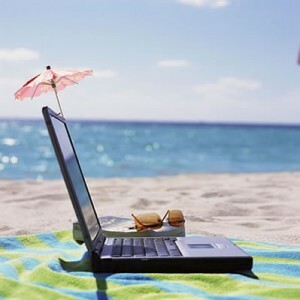 Here are some things I suggest all PR people do to make the most of the end of summer, both work-related and not. Run An End Of Summer Promotion– Yes, it makes me sad to even use those words, but this may be the last chance to get your summery products out there before having to switch everything over to pumpkin spice theme. If you have something specifically summer that you didn’t get enough play on yet this summer, put it out there one last time. It’s still applicable, for a few days at least, and everyone is eager to soak in the last bits of summer right now so get it in front of their faces before Labor Day. Get Outside– If you have a flexible work schedule, work outside in the sun one afternoon this week or next. At the very least, take a walk during lunch or after work. Go to the beach, spend time in the park, or have dinner al fresco on the waterfront. Whatever you have time for, do it outside, because there is not going to be much more opportunity for that. Get Organized for Fall– I find any time that there is a shift in lifestyle is a great time to get re-organized for the coming months. The transition from summer into fall is a perfect example. Just as you will have to switch out shorts for sweaters in your closet pretty soon, you can take inventory of what you have going on in your work life and start getting prepared for the coming months for each client and thinking up new ways to bring them to the next level this fall. Have A BBQ– Consider throwing a customer appreciation BBQ with a client. Everyone loves an end of summer BBQ and it’s a great way to show customers you care, while wringing the last bit of summer out. If you don’t have an applicable client (restaurants are easy, less physical brands maybe not), throw one yourself. Invite family and friends and throw some burgers on the grill to send summer out in style. Get Caught Up With The Trends– Marketing and social media trends are changing and developing every time you blink. Use this transition into fall to get caught up on the newest trends and the projections for what will be big for the rest of this year. 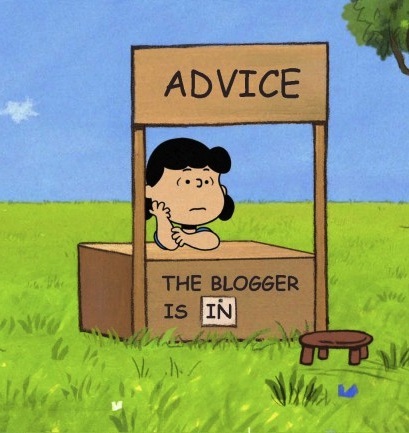 It’s easy to get lazy in summer and spend time on reading your summer novels, but now is the time to read anything and everything you can related to your industry and be ahead of the curve going into fall. 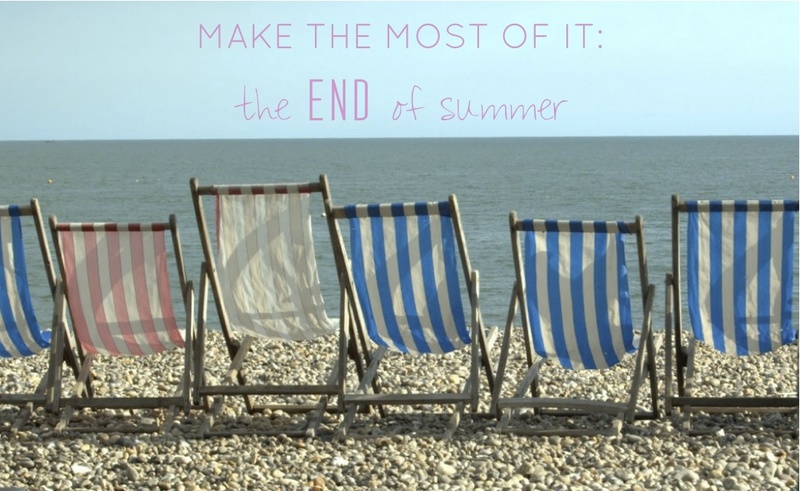 What are you end of summer must dos? Are you going to do any of the above, or do you have any other things we should add to the list? Tell us on Facebook or Twitter! 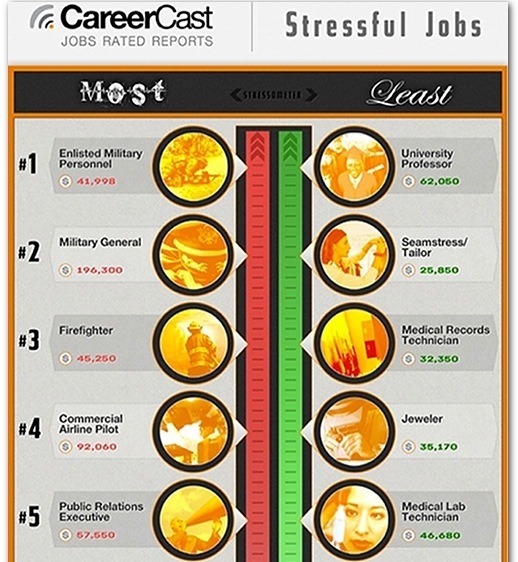 The CareerCast report on most stressful jobs for 2013 came out and PR Manager/Executive was number 5 on the list. There has been a lot of talk about this, mainly some confusion as to how something like PR could be ranked right up there with life saving occupations like firefighters and members of the military. These people are faced with life or death situations every day and are forced to make crucial decisions at the drop of a hat. While PR people often feel like they are in similar situations, because of pressure put on them by clients, other people in their agency, and the media, the truth is, their daily critical decisions hardly ever deal with matters of life or death. It’s important to have a healthy sense of drive and feel your work is important, without getting too carried away and feeling like your world is going to end if one thing doesn’t turn out the way you wanted it to. Managing the situations and the stress are important to being successful. There are some things you can do to manage the stress of a PR job, or any job that occasionally causes stress. Stay on top of everything. If you know what you have to do and how you are going to do it, you are much less likely to feel bogged down and stressed out. This is where lists come in. In addition, keep in regular contact with your clients or other people working on a project with you so that you are always up to speed on what they are doing and what they want from you. Keep expectations realistic. Make sure that you and your clients are aware of the realistic goals you have set. Don’t let a client get carried away and build unrealistic expectations of something you will not be able to help them achieve. Be honest from the beginning and continuously throughout the relationship so that you don’t find yourself risking disappointment and scrambling to pull off the impossible. Plan for the worst. 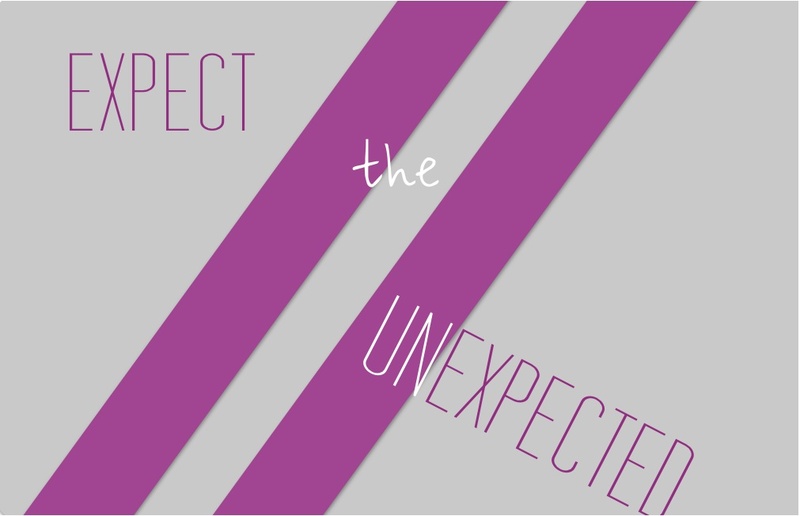 Hopefully, a client will always have something exciting and newsworthy going on. But this isn’t always the case. There are always times when you or a client wish to gain some coverage, but just don’t have anything new to promote. Keep a couple of ideas up your sleeve for times like this. A few timeless ideas that will be applicable at any time of year and at any stage in the business’ life, will come in handy if you ever feel pressure for promotion. There is nothing worse than feeling like you have nothing to work with, so writing down a few ideas before the time comes will save some stress later on. Do everything you can do, as soon as you can do it. Don’t put things off when you have the ability to take care of them. You will feel less stress if you have completed every task that you could each day. If an email comes in during the evening and you are technically not on the clock, just shoot a response back immediately. Not only will people see you as reliable and on top of things, but it’s one less thing to have to worry about later. The less you have to add to your to do list for the morning the more stress-free you will be. Take a little time for yourself. Sometimes you just need to make sure you are personally relaxed and refreshed. When you feel good and ready to take on the world, little things don’t stress you out so easily. Indulge in a weekly yoga class, take a walk with a friend during lunch, paint on the weekend. Whatever makes you feel relaxed and allows a bit of time for yourself and refreshes your mind. These are some ways to stay stress free in a stressful job. Whatever works for you is great. What do you do to handle stress in PR or another stressful job? Everyone has their own organizational systems. These are things you do to make sure you know where everything is and remember what you’re supposed to do each day and keep track of what you get done. It doesn’t really matter how you do it or what the system is, as long as it works for you. The simplest system for me? Lists. I live and breathe by lists. As someone with a sub-par memory, relying on lists has gotten me where I am today. I absolutely love lists. Overall To Do: This is a general to do list with anything that pops up that needs to be remembered. This is generally more personal and will include things like paying bills, getting milk, return a phone call. It can also sometimes include business, but then those items will generally also get included on one of the other lists. Long Term To Do: This includes anything that will require action at any time. It needs to be in my head and dealt with eventually, but may not be something that can be taken care of yet. This always relates to work, and mostly includes upcoming client initiatives. Daily To Do: This is the list for what needs to be done each day. It is created the night before or first thing in the morning and includes each task that needs to be taken care of that day. Monthly To Do: This is not so much a list as an actual monthly calendar. Daily and Long Term To Dos both come from this. I keep up with my calendar on my phone, which syncs with the one of my computer, and I also have a paper version- a good old-fashioned pocket diary if you will. I use the phone when on the go, and actually write things down when I’m able, and then always convert one to the other so they match and are both up to date. Just writing it down twice helps me immensely in remembering it later on. Monthly Work Overview: Last but not least (and I know this won’t be applicable for everyone, but I think PR people will appreciate) is the monthly overview of more than just my To Dos. This includes larger picture things like events and holidays that may effect clients or at least are good to have in mind, deadlines for publication inclusion, important editorial calendar dates, monthly or weekly check ins with clients that may not be specifically scheduled meetings, etc. This is essentially the monthly To Do, except it focuses on the next month (or upcoming three) instead of the current month. Also, where the Monthly To Do calendar includes personal engagements, this is strictly work and much more detailed. Call me crazy but having everything accounted for and having an organized approach is so important to me and staying on top of things. I know not everyone needs so many lists (and maybe I don’t either, but being extra prepared makes me feel better!) but implementing a few of these may prove helpful if you are working out your own organizational style. What works for you for keeping track of everything? Work life balance. It’s a hot topic these days. In the last couple of years it has become extremely difficult to separate work and life, what with the prominence of smartphones that allow us to check work emails at any time of day, laptops that bring the office home with us, and the general expectation that people will be ‘plugged in’ 24/7. There are all kinds of tips and tricks and guidelines for how to keep a work life balance. It seems that everyone is trying to put the different parts of their lives into compartments and keep them separate because work somehow taints the private life. But is this really the way to go? What if we put as much energy into finding/creating jobs that we like as we do trying to separate our jobs from our lives? We would find that they didn’t need to be so separate because we actually like having work be a part of our lives. I feel happy and satisfied when I can attend to work when it needs to be attended to, be it on a weekend or later at night than normal working hours. The fact is, when you take care of things as they come up you often don’t feel nearly as stressed about your workday and the lists that will come with it when you save everything for certain hours. If you get an email from a client or work contact and just respond to it right away (assuming it is something you have the information and ability to reply to at the time) you don’t have to keep it on your mind for later. If you have some free time in the evening and get in the mood to finish something that you need to do for work, just do it while you watch your TV shows with the family or before getting into bed. Then if you don’t have time during the working day you don’t have to worry about it, or if you aren’t feeling very productive later in the week you won’t feel guilty about not getting enough done. If you like what you are doing there is no reason to feel like you need to separate it from your ‘life’. Why wouldn’t you want work to be something you enjoy? If you treat it like another aspect of your life that you care about and is a priority you will get everything done and be successful with it. Your work is what is going to propel you through life, allow you to afford the other things in your life, and dictate to your professional identity. You may as well make sure you enjoy it and then put the time in when need be, instead of fighting against it. I find that if I do little things as they come up, like responding to an inquiry as soon as it comes through, drafting a written project when I’m feeling creative, composing an email before bed so it will reach an inbox first thing, work doesn’t feel imposing. Yes, it is occurring at all hours, but it’s not something that I dread or that is really taking a substantial amount of time away from my personal life. I would rather do some work while sitting on the couch with family in the evening than have to stay in an office late into the evening doing it, or worse- try to create a balance that would require leaving the office because ‘life’ time has begun and the work has to wait until another day. The work needs to get done for you to be successful, no matter where or how you do it. That’s what matters. No need to keep it shoved in an office and then completely turned off when you’re home. 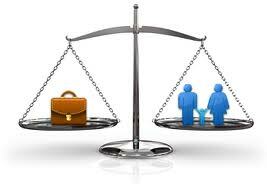 How do you feel about work life balance? Do you try to keep one? Or do you incorporate your work into your life? With the awful weather (which didn’t actually turn out so bad around here, thankfully) in the area this week there were a lot of business closed and people urged not to leave their houses if at all possible. This meant a lot of working from home for those who could. There have been many articles written about it in the last few days such as this one from The Huffington Post. As one who works from the kitchen table on a regular basis, I felt I had a bit of knowledge to share for those who are not used to it and could suffer a day of total unproductivity if not prepared. Plan ahead. If at all possible, plan your day the night before. I like to plan whatever possible for the whole upcoming week the Sunday before, though of course many things change or get added as the week goes on. Then each night plan the next day in more detail so I know what needs to be done and what to expect. This helps to designate enough time to each project and make sure you will be able to get everything done each day. Keep a running list. 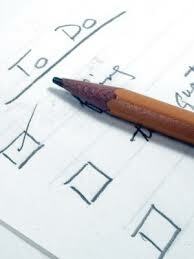 In addition to the days schedule, keep a running list of all the specific tasks you need to get done that day. Update it constantly each time there is an email you will have to get back to later, a phone call to make, or a new task that pops up, so that you won’t forget anything or get off track. Once the list is finished you know you accomplished everything you were meant to do in the day. Start with coffee. Be sure to get up and out of bed at a reasonable time to begin your day at the time you normally would. Working from home is not the same thing as an extended weekend. You still need to work and people will be expecting you to be available at the same time you normally would. Get out of bed, make a cup of coffee, and get settled with your computer, phone, and any other supplies you will need at the kitchen table or a clear workspace (probably not the couch unless you’re very disciplined). Keep out distractions. Don’t turn on the TV. Even if you think you just need some background noise, it will cause a distraction. Listen to some music instead. Don’t tell people you are working from home if it means they will call to chat or drop by. Not everyone understands that this is still a work day and essentially the same as if you were in the office. Don’t let yourself think of household tasks that need to get done. Pretend you are in the office and the household tasks are still out of reach. It’s easy to think you’ll just throw the laundry in or pick up the living room real quick. But unless this is during a scheduled break, it is taking up work time and ends up becoming a larger distraction than you originally think. What do you do to stay focused and get work done from home? 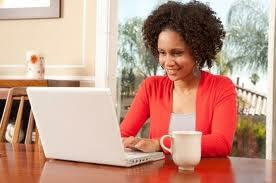 Do you like working from home or prefer an office?